There has been some very, very, VERY great noisy, creative guitar rock this year. From more traditional shoegaze craft from the likes of Whirr to more complex takes on the genre from the likes of Heaven’s Gate, these “shoegaze” bands has been pumping out sublime (and noisy) releases all year. And to round off the end of the year and trend, WL have released their ungodly excellent debut single. The single is a simple two song affair, but the band nonetheless manages to manifest their sound and style perfectly across both sides. On the a-side “Impermanent” is a slice of pure, classic shoegaze: cascading, distorted guitar over slow motion drums and cymbals, with both picking up at exactly the right moments to propel the song forward. The song hits you like a constant barrage of waves, just crashing over you steadily, like a great Isn’t Anything era My Bloody Valentine. The vocalist for WL, Misty Mary, has an absolutely stunning voice, which sticks just the right balance between sultry and airy. It gives “Impermanent” an added dimension that doesn’t hit you at first, but would be lacking if it wasn’t there. “No Escape” ups the noise quota for the band, but toes WL more into dream pop as well. Whereas “Impermanent” was a stagnant barrage of pure shoegaze (in the best possible sense), “No Escape” uses momentary noisy breakdowns to punctuate its relative quietness. The track is built around Mary's breathy vocals (which are possibly nicer here than on “Impermanent”), and the simple chiming guitar lacking all its distortion but captivating still, along with the steady drum beat. Subtly, the song builds into these noisy blasts of off-kilter distortion and frantic drum crashing before returning to its shimmering, airy-pop core. I cannot overstate how wonderful this single is. There is nothing like a band coming out of nowhere only to completely knock you over with their skill and songs, and WL have done just that. Their debut 7” is pure, unfiltered noise-pop heaven, drawing from all sides of the genre. It’s the type of thing shoegaze addicts like me are always craving, and this more than meets my cravings. It's finally happened. After countless cassettes and seven inches, Campfires will be releasing their debut album Tomorrow, Tomorrow this coming February via Fire Talk. Utter joy! With this news comes a brand new track and possibly the best indication of what Tomorrow, Tomorrow will be like with "Fortune Teller". A bright, sunshine filled song that is the equivalent Forever Changes Love as played by a twitchy C-86 band. 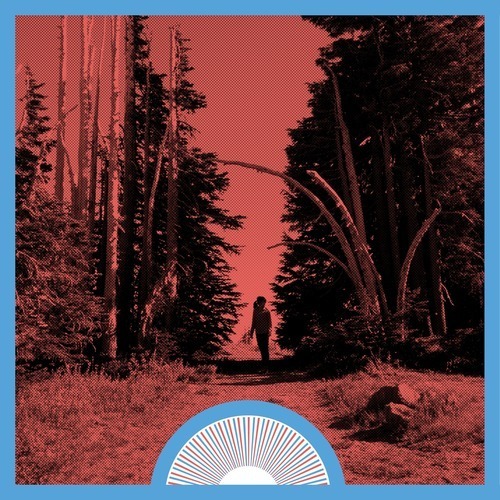 "Fortune Teller" has a noticeably higher production than Campfires songs of yore, but the band makes the transition to hi-fi smoothly, allowing all the simple instrumentation of the track to ring out clearly, thus filling out the song's psych-folk indie pop sound more so than ever before. More so, band master mind Jeff Walls' vocals have their first chance in the spot light, adding wiry, subtle, and earnest charm to the track that would have ever wise been lacking. I have been waiting for this album for ages, so for it be arriving so soon, coupled with hearing an excellent foreshadowing in the form of "Fortune Teller", have just made my day. I think there was some worry of attached to the news that The Mountain Goats were playing the new Emo’s East. Not that they didn’t deserve to play such a large venue, or that they couldn’t fill it (they did easily), but that some of the intimacy that band manages to always maintain no matter how big they get might be lost to the venue. However, The Mountain Goats, along Matthew E. White and his ensemble (more on them in a second) managed to easily fill in the vast space presented to them. It’s sort of surreal to see Matthew E. White perform on stage. There’s just so much to him that is just traditional and the opposite at the same time. His music is a heavy combination of classic southern rock, gospel, and funk, along with psychedelic, jazz, and tiny flourishes of just about every other genre imaginable. It’s both insanely old and nostalgic music, and yet White somehow manages to ever so slightly make it feel personal and his own as well. He brings these feeling to life on stage with his sprawling ensemble (think Bon Iver’s live band, but more relaxed), and even his own persona as well (long flowing hair and beard along with a solid wood guitar). And by “he brings these feelings to life on stage” I mean “Matthew E. White was amazing live!” There was no pretext or falseness to what is doing. He just loves making these old-school, almost classic sounding songs and he loves performing them too. White, in his tiny 45 minute set, just effortlessly recreated his material live, with an elegant yet mighty air that was almost magnetic. It didn’t hurt that he was constantly in synch with his band mates , the horn section, two percussionists, bassist, piano player, and White himself just constantly playing off each other, never missing a beat from soft rock ballads to psych induced break downs. Matthew E. White and his band just played skillfully and masterfully, managing to win over the crowd, including me, despite laying at an almost perpendicular to the style everyone was there for that night. What can be said about The Mountain Goats that hasn’t already been said, repeated, and said in 50 other ways? John Darnielle and his band mates are a force that cannot be bottled or questioned. The crowd was singing along from the first note as lines from “Amy (Spent Gladiator I)” echoed throughout Emo’s East. The set leaned heavily from cuts from Transcendental Youth and did they come to life on stage. They all have a batter and tired air to them, as is the theme of the album, but onstage so does the anger, hunger, and small pieces of hope contained within them as well. They were mixed with equal heart hurting and wonderful fan favorites from Tallahassee and The Sunset Tree. Darnielle set the tone early recounting the death of his abuser as a lead in to “Up the Wolves”, capturing the sadness embedded within the song, but the other emotions and ability to keep moving forward as well. Darnielle’s stage banter was a highlight of the set as he recounted tales of failed actors (“Rotting Stinking Mouthpiece”) and finally being able to make his child smile through Scarface (“The Diaz Brothers”). Hearing people actually hush does around them as to not interrupt Darnielle was a staggering and wonderful moment. Horns provided from members of Matthew E. White’s band beautifully brightened some tracks, but the section where it was just Darnielle on stage was just as powerful. By the time the encore rolled around, the night was already magical. However, placing “Transcendental Youth” and its account of finding a small piece of happiness with someone else, as a lead into a shout-along with “This Year” was just stupendous. The Mountain Goats will always, always be an otherworldly force when they perform live, and everyone left Emo’s East that night knowing that. Solar Year's music feels deeply trendy. The duo crafts very atmospheric pop, cemented with their newest track "Night & Day" from their first, proper single. 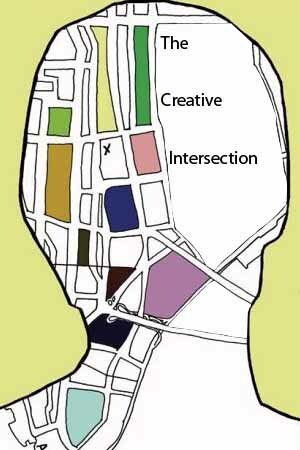 It's based around a mix of cut-up clean and grimy beats that still have a ton of space to them that let's the song both have a "quiet echo" throughout the song, as well as expand and build while it closes too. There's also the dark, R&B influence present in the vocals and production that adds to the already heavy air of detachment and mystery present in the song. It feel like something that Ad Hoc or No Fear of Pop would fall in love for, so it should come as no surprise that this is the first release on NFOP's new label Stratosfear. At times it feels like a more muscular and slicker take on the type of sound Born Gold produced with his Little Sleepwalker album, and more so, Solar Year have produced an elegant and sparse slice of modern electronic pop with "Night & Day". Is it possible to make shoegaze that's energetic? On the surface I think the answer to that question for many people would be "no". Shoegaze is a genre that usually marks itself by turning inward, swirling together the lines between vocals and guitar, along with every other sound, to create a mesh of noise and melody. Emotion is not expressed through vocals (usually covered up with a inaudible layer of haze anyway), but through insanely noisy burst of guitar feed back or wails. However, I think Heaven's Gate is trying to challenge all those notions with their High Riser EP. The EP opens with a roar thanks to first cut "Pray". The guitars start buzzing in a lovely swirl that makes them feel alive as the rhythm section thunders behind it. The drums especially are deeply pronounced and innovative for a shoegaze sound. However, it's front-women's Jess Paps that are the most striking. Thankfully void of any to all effects, they are both airy and sharp. She has the ability to jump between banshee snarl to a crooked coo that balances out the songs intensity in the right places. On the likes of "Pogo" and "Sea Swingers" this element really shines, in so making the chorus truly pop and explode to certain extents. "Explode" is definitely the right term to use because that what all the songs on High Riser manage to do. The band undercuts typical shoegaze expectation again by actually not indulging in the sprawl, instead cutting the songs to their minimalist core so that only one of the seven tracks on here is more than two minutes long. In doing the songs contain a hyper-condensed quality to all of them that amplifies nearly every aspect to them, so those twisted, zooming guitar riffs and powerful vocals feel even more prominent. More so the more typical shoegaze songs, like the dreamy "Salome", feel creative instead of coming off as generic. With the High Riser EP, Heaven's Gate have broken from their Sweet Bulbs shell to reveal the nearly fully formed hawk within. 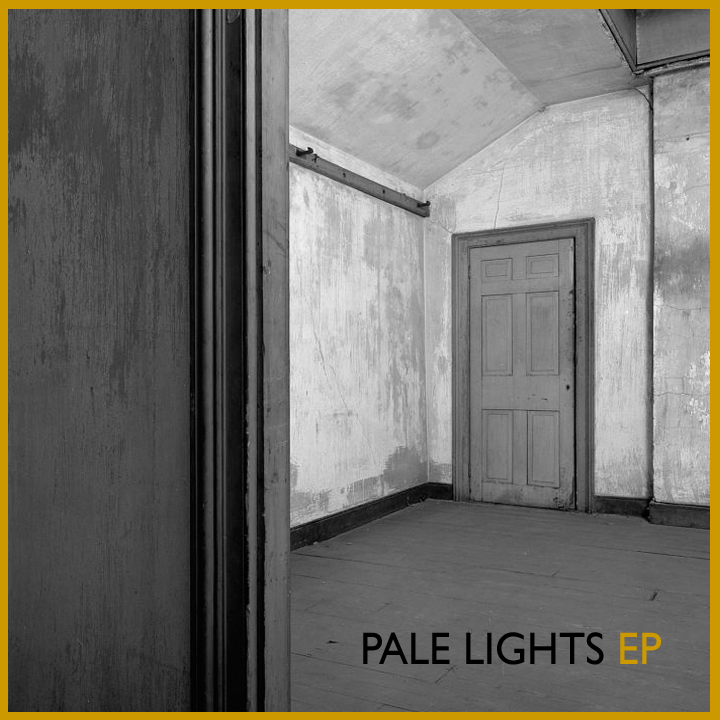 The EP and band have come out with an aggressive first release, with a near laser like focus on their own style of indie-rock and shoegaze. It feel volatile and new, especially within a genre where it seems like that doesn't happen enough. Any reason to talk about Los Campesinos! is a good day in my book, but when it involves a new song, I am more than ecstatic. "A Doe to a Deer" is part of the their semi-regular tradition of releasing Christmas songs, and a follow-up to their first Christmas tune, the spectacular "Kindle a Flame In Her Heart". Here Gareth twists several holiday tropes and references to spell out another tale of his desire for companionship during the holidays. Meanwhile the band crafts a sublime faux-indie Christmas tune, filled with church bells and the return of lovely placed string arrangements. Though the songs is still punctured occasional melancholy, especially by the time the bridge hits, filled with discordant, wilting guitar lines and Gareth getting plastered on Christmas Eve and walking home Christmas day by himself. Yet, it wouldn't be Los Campesinos! if they just played it by the book and painted a song about perfectness Christmas time. Instead they paint in shades, show every aspect of what the holiday brings out, and in turn, make a better song from it. I've never been very partial to country music, no matter what form it decides to take (regular, country rock, alt-country, etc.). 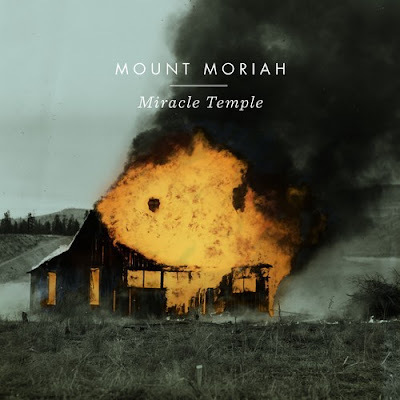 The truth of that fact, I think, is a testament to the quality of Mount Moriah for making me like them. Mount Moriah are a decidedly country band from Durham, North Carolina, emitting everything the genre usually brings on "Younger Days"; crisp production on every instrument, twangy guitar lines and stomping drums, powerful vocals soaked in Southern drawl, with flourishes of harmonies around the chorus. But instead of all this being off putting or clichè, instead Mount Moriah pull it off beautifully. By the time the organ comes in to color in the chorus, I'm just hooked. "Younger Us" is just a simple, simmering song that grows in power with each listen, with front-women Heather McEntire's vocals powerful but haunting vocals especially staying with you long after the song has ended. The band music probably was made to soundtrack summer nights, but just as easily soundtracks these cold winter days. Nyquil Jordan was birthed from the same twisted mind that created Pariah Carey, AKA Jheri Evans, one of the master minds behind Decoder Magazine. Disclaimer: Jheri and I are internet buddies, but that doesn't stop his new project and "The Emotions We Emote" from being any less awesome. "The Emotions We Emote" is a demented remake/remix of K-Ci's & JoJo's "Tell Me It's Real": the vocals are twisted almost recognition with auto-tune, modulation, and manipulation while a new, grimey beat has been placed underneath. The result is the pureness of the original track is still present, but now side by side a new demonic presence that makes "The Emotions We Emote" feel ever so darker. It's a warped and weird sound to be sure, but deeply creative and cool weird as well. What other type is there when it's warping of thirteen year old R&B songs? Look at the cover art for Marching Church's new single for a second. It's only of the few times I think the artwork properly expresses the music contained within it. There is a beauty present in the artwork, but you can see the evil and darkness there as well, which is and will slowly consume everything else eventually. That, to a certain degree, is what Marching Church's "Throughout the Borders" sounds like. Marching Church is the solo project of Elias Bender Rønnenfelt front man of iceage and member of Vår, two bands who already have a dark energy to them. 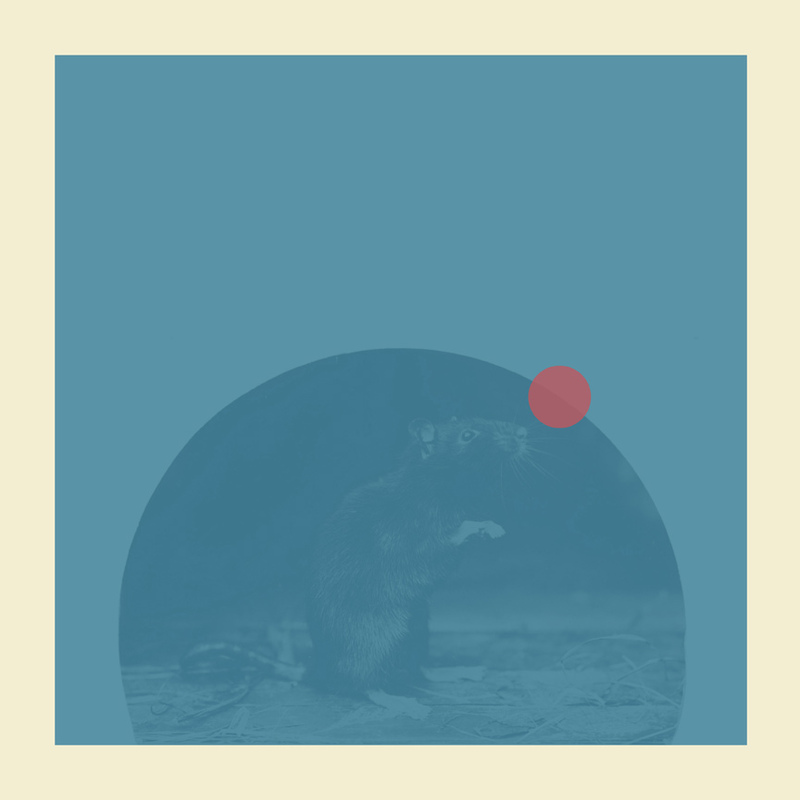 Here he mixes dark folk and post-punk catharsis in a lethal combination on "Throughout the Borders" as the metal sounding guitar chords just ring out over the frantic and off beat drum work while Rønnenfelt brings all of the despair and darkness that he hadn't released with his other projects here, especially through the vocals. "Throughout the Borders" is a deeply haunting song, containing a nervous and dark energy that is inescapable. Nonetheless, that eeriness and bleakness of the song are what make it so compelling in the first place. I should hate this. Detest this with a large chunk of my being. A mash-up mix-tape composed by Dan Deacon made up entirely of various different songs, that range from Grimes to James Brown to Animal Collective to Nicki Minaj to even Lightning Bolt. In any other situation, this would have just been some terrible variation on the generic material Girl Talk has been pushing out for years. 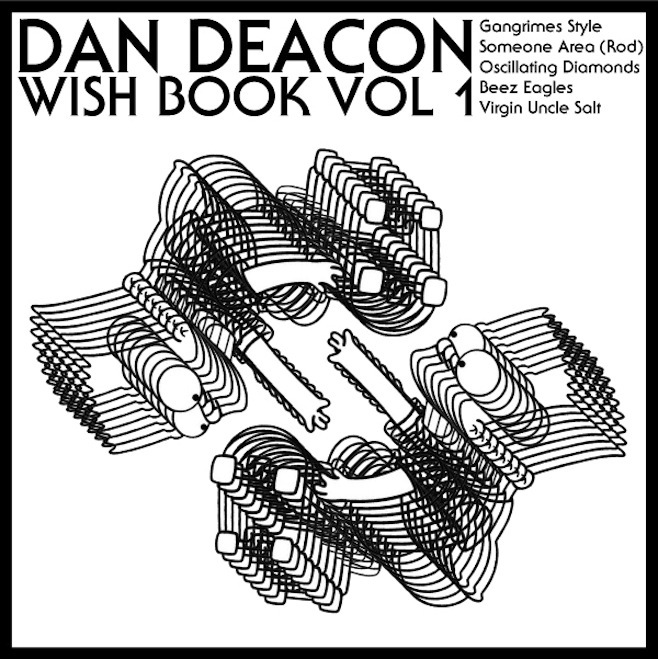 But through the magic of Dan Deacon and his ability to understand every facet music, he manages to craft something incredibly wonderful and unique with Wish Book Vol. 1. To a certain degree I think it has to do that these mash-ups feel like Dan Deacon songs at their core; they have the same euphoric and joyous sense to them under their demented electro-dance skin that Deacon's original tunes have. The fact that Deacon stakes all the samples on top of one another rather than just jumping from one to another adds helps add to this sense. These songs just so evilly addictive looping and looping around in the brain due to three million different hooks flying at you at once. Just listen to "Someone Area (Rod)" which places cheesy Rod Stewart synths next a manipulated Beyoncè "Single Lady" vocals before diving into LCD Soundsystem's "Someone Great", which sets a memorizing tone for the rest of the tune. Everything on Wish Book Vol. 1 is like exactly as insane and wonderful as that description sounds. Burger Records are just purely awesome. For proof of this just look at the Kitty Comp they released earlier this year. A massive, 60 50 song, double tape collection of unreleased songs from Burger-related bands all to support an injured cat the label heads had found on the highway. Like I said, Burger is awesome. Now, they have put together another compilation to help an animal in need. 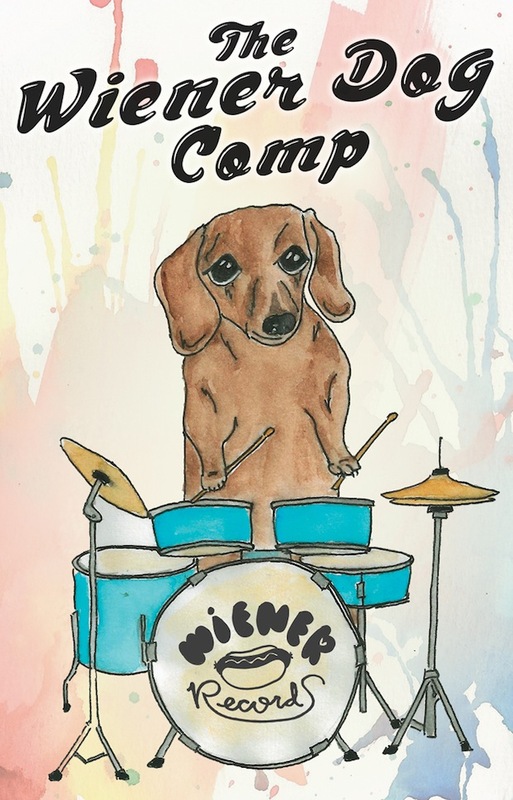 The Wiener Dog Benefit Comp was put together to help Popcorn the wiener dog get an operation from a growth in her belly. An even more massive 71 song compilation, the likes of Redd Kross, King Tuff, White Fang, The Memories, Free Weed, Gap Dream, Cleaners from Venus and so many more all of unreleased tracks on this comp. Thee Oh Sees contribution is the sun baked "Teacher's Holiday", a sparse, raw, and surreal track that would have fit perfectly on Castlemania. So go help a doggy in need an get some great tunes out of it in the process. There comes a point in every jangle band's life where they must choose either keep either refine their sound and hope they can continue to produce quality albums through out their time together, or take a jump to expand and/or change up their sound. 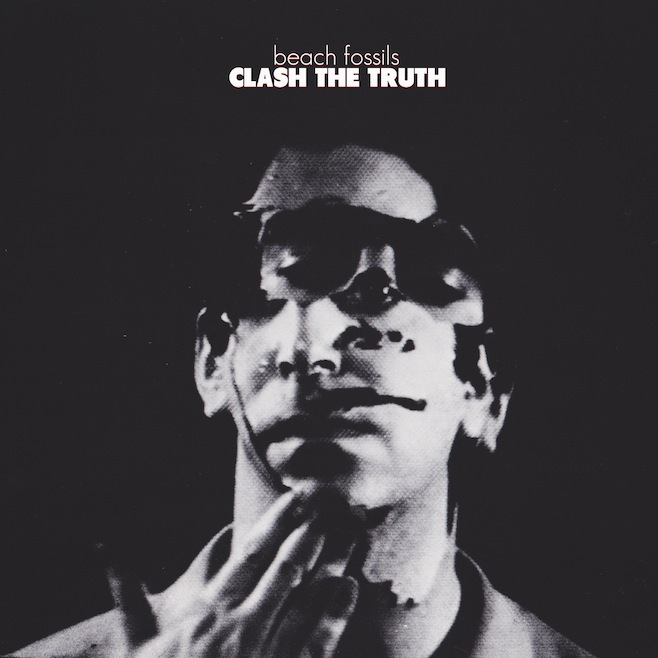 Beach Fossils, possibly the premier flag bearer for modern jangle pop have announced their decision to go with the latter choice along with the announcement of their second album Clash the Truth. And holy hell does it pay off in strides. "Careless" opens with the ringing of guitar chords that instantly feel thicker and heavier. They don't so much jangle as chime out of the speaker. There's honest shoegaze squeals from the guitar over the rolling bass lines and frantic drum work. The '80s-esque, nostalgia filled production compliments the song perfectly, embellishing it with the same feelings that Teen Mom delivered with their EP earlier this year; "Careless" gives off a sense of the past you instantly remember, but at the same time doesn't feel trapped by it. While this evolution isn't completely out of the blue (anyone who heard Beach Fossils' "Shallow/Lessons" 7" from earlier this year can see the logical progression here), that doesn't stop "Careless" from just hitting you upside the head with it's guitar pop greatness. I doubt few things will embody pure stoner pop quite like Free Weed's Free cassette. Free Weed is the alias of Rikky Gage, one of the masterminds of Gnar Tapes. He also happens to be in the lo-fi punkers White Fang as well as crafting lo-fi guitar pop in The Memories too. Now with Free Weed, Gage dives further down the lo-fi rabbit hole, crafting twelve lo-fi gems that make up Free. It's clear from the onset that Free Weed is a solo project, one deeply rooted in the bedroom-pop, VHS lo-fi movement that has made waves in sections of the indie world, and makes up a decent part of Gnar Tapes' discography as well. So through out Free you get hints of Ariel Pink, for lack of a better reference point. Familiar but weird samples pop up within the songs (see the weird space sonics of "Out of My Mind), old school radio channels are an ever-present influence (classic rock rather than AM Gold though), and there's the ever present humor of mocking the form, in the form of very cheesy humor (stuff like the self-parodying "Slo-Fi")and simple mindedness to weed and slacker culture. However, that is slightly overshadowing what I think Free Weed first intent is though: to craft simply and catchy bedroom pop songs. And over the much too short Free, he succeeds. All but a few of the tracks are more than two minutes long, allowing for hyper condensed ear-worms to form out of the songs. Stuff like "Light the Night", "Lust for Everything", and "Didn't Wanna Do It" are pure slacker, lo-fi brilliance, clean and simple. The 'longer' jams like "In Doors" and "High with Me" don't break the flow at all either, they just enhance the vibes of Free further, both in terms of lyrical content and the ability to stretch out Free Weed's style ever so slightly while to maintaining the ear-worm capabilities. In fact closer "Pimp Reaper" might be the best track on the tape, a slow, Beck-influenced tune constructed over psych guitars and a broken drum machine, Gage's vocals just mumble out but feel no less wise before the track itself fades out. Free is simple, but clever tape on lo-fi music, made by a prolific lo-fi artist. It's stoner gems that will stick long after the haze has lifted. I was late to the (über-noisy) METZ party, but I am catching up now. And what better way than with a brand new single that will cap off the year? "Dirty Shirt" is the B-side, but is utterly glorious in it's own way. Not as blown out as their debut, instead METZ channel more clearly than ever their early Nirvana influence, along with The Men as well, especially in the minor, melodic flourish that lays within the versus. That, of course, disappears in the utterly explosive choruses filled with anguished cries and crushing bass. "Dirty Shirt" is less than two and half minutes of pure, volatile, noisy post-punk, AKA making it a damn fine song. While 2012 have been great for music, I think 2013 is gearing up to be even better.The fact that we are getting a Bleeding Rainbow album within the first month is one of the strongest facts on my side. 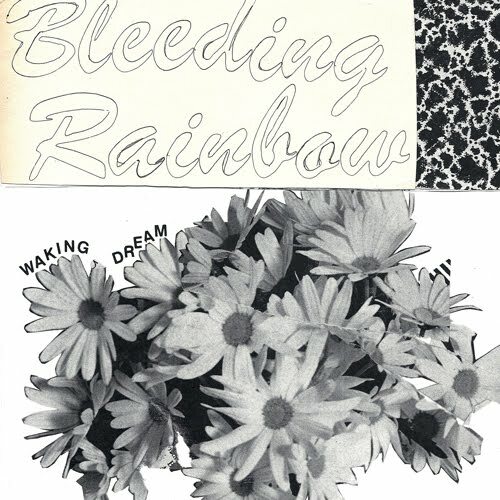 Slowly as the cuts from Yeah Right have surfaced, it has become clear how Bleeding Rainbow also personify their name with a stronger, more aggressive sound, filled with sludgy shoegaze& psychedelia riffs. However, they have not completely bisected themselves from their past, as in "Waking Dream". The harmonies shine as brightly as the guitar work, while distorted as hell, still emits a lovely glow to itself. "Waking Dream" is built on this wonderful quite-to-loud dynamic that fuses their past with their present, into a glorious ball of melodic noise rock. The sonic equivalent of fog meeting a bright, sunny day, in the best possible sense. WU LYF created some of my favorite music of 2011. Their debut Go Tell Fire to the Mountain perfectly captured their self-dubbed "heavy pop": soaring and anthemic songs that never never collapsed under their grandness, instead being a near perfect cross-sections of gospel like energy over indie and pop. So it seems more than appropriate that WU LYF would go out on a song like "T R I U M P H". Allegedly the band's last song (or not, they have always operated on a cloak of misinformation and mystery), "T R I U M P H" is ever so different than everything WU LYF had created before. It's airier and brighter, the guitars chiming and popping, and the organ creating similar pop bursts rather than producing the atmosphere it had on their previous tracks. The lyrics were also posted along with the song. A small thing, but for a band that had always encouraged a sense of shouting along despite not know what was always being shouted, being presented the message from the start sets a different tone for the song. For "T R I U M P H" though, that's one of discarding apathy, running head long into the sunrise and not looking back. It's as glorious as it sounds. Butter the Children is the byproduct of four members from four distinctly but differently noisy bands (Night Manager, Sweet Bulbs, Le Rug, and Red Dwarf) coming together and it shows. The guitar equally roars like a buzz saw and produces spacy, shoegaze riffs, while the bass rumbles in the background along with the drums clatter and bang together. And all this connected together by the sickly sweet vocals of front women Inna Mkrtycheva, which arrive with a near pop-punk delivery, but manage to pack a subtle emotional punch to them as well. There was more than a chance that they four distinct styles would not be able to gel at all, but all Butter the Children show on their debut EP, not only can they work together, they can make something sort of magical. All the tracks are quick, less than 3 minute long burst of punk energy and indie rock mixed with a healthy chunk of post-shoegaze hooks. Opener “Robyn Byrd” pretty much encapsulates the band’s sound jumping from memorizing and bent guitar chords and emotional lyrics to (semi)quieter, cleaner sections that balance out the song. The EP also makes clear the darker and twisted elements of the band (just look at the cover art), like on the moody “Flesh Wound in Ithaca” or damaged-pop of “Rochelle Rochelle”. Then there is likes of closer “Lupus”, which feels like a more explosive take on the dreamy-pop Reading Rainbow use to make, and happens to be two minutes of pure noise-pop bliss. Butter the Children’s debut is a short but sucker-punch of an EP, a breath of fresh-air that reminds how great guitar pop, indie rock, and noise can be blended together just right. Confidence is not necessarily a trait I would associate with Heidi Klum's Bangs. That isn't an insult, there is just such a confessional, heart-on-the-sleeve characteristic to the band (vocals especially) that just don't explicitly assert that trait. But with The Fireworks Fall Like Flowers EP, the band has started to push themselves further than they ever have before now. On the surface the surface it doesn't appear like much has changed with Heidi Klum's Bangs. Zach and Dylan Beck are still crafting lovely post-Elephant 6 tunes filled with tinkering bells, simple acoustic guitar, and soaring trumpet. "The Tress Unveil the Stars", the EP's lead off track, also easily captures the band's lyrical love of communicating love and tendency towards sprawl. However, something shifts with the rest of the EP after that track. The second track "April (7:43)" has a leisurely vibe to it, just jogging along as it all spills out. It's the most relaxed and casual the band has ever sounded, with the trumpets serving as a complement to the verses rather than the usual core instrument Heidi Klum's Bangs usually utilizes it for. The Fireworks Fall Like Flowers then progress into the title track, its longest track and obvious centerpiece. Split into two distinct parts, it shifts from their most full bodied song as the drums, trumpet, and guitar fill up everything to a second section that is incredibly moving as Zack Beck's vocals become strained as he tries to express his love for someone over the crashing drums and ringing bells. It's the most powerful the band has ever been, and that's saying a lot for a band that has always put such emotion into all their songs. It also crystallizes the main quality of the EP, which is it gives Heidi Klum's Bangs the ability to stretch and expand their sound. No song is under four minutes here, and the album closer almost reaches the seven minute mark as well. "(11:11)" opens with vocal drone before unfolding into a lovely instrumental (completely with Casio synth lines) that folds perfectly into the rest of the EP. "All in All", the aforementioned album closer, might be the band’s moodiest piece to date. With a quivering drum beat and sporadic fellow instrumentation, the track creates this wonderful melancholy sense to it, a purely winter-esque of admiring the world while the world is bleak as well. It captures the collective essence of The Fireworks Fall Like Flowers, while at the same time showing how Heidi Klum’s Bangs have evolved from their debut album Placer Pier. It’s lovely indie pop that is slowly becoming at little more moody, a little more lush, and a little more beautiful. The UK has been producing quality '90s indie rock for ages now. 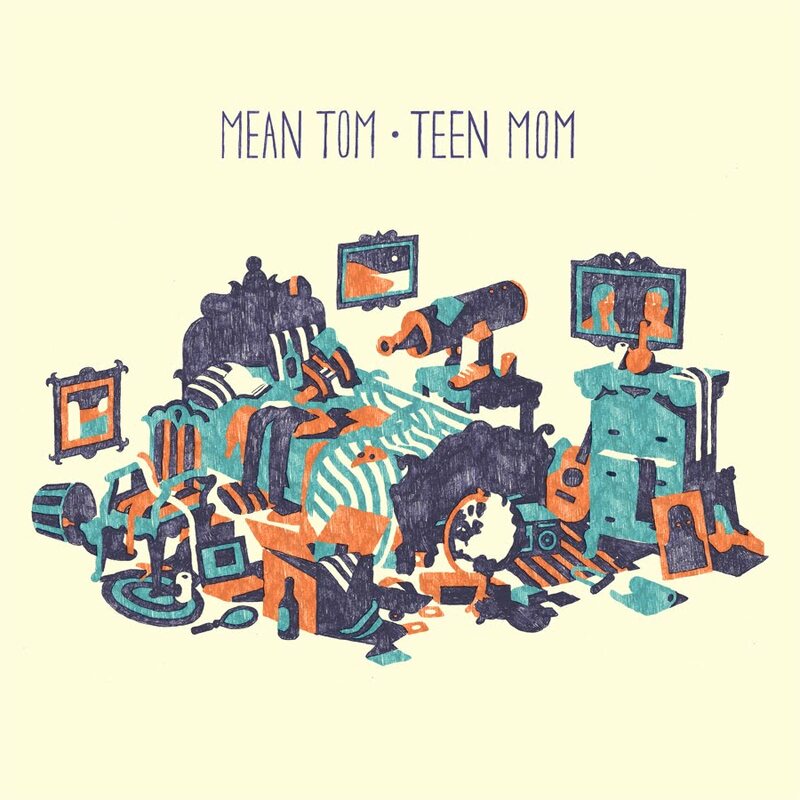 One listen to the likes of Yuck or PAWS and it's like entering a time of fray vocals and distortion filled guitars. So it should be no surprise that this infatuation should lead to a return of other indie genres. Enter the strangely named The History of Apple Pie and their classic sounding shoegaze. "Glitch" of their upcoming debut Out of View is sounds as if somehow transported itself from 1991. A perfect My Bloody Valentine jangle opens the song with pogo-inducing drums as another guitar cuts in and out with perfectly feedback notes and discordant effect elements. All the while Stephanie Min's lovely & airy vocals envelope "Glitch" to add the perfect touch of beauty to the song's intensity. The History of Apple Pie have crafted excellent, shoegaze bliss, as loud and glowing as anyone could want from the genre. 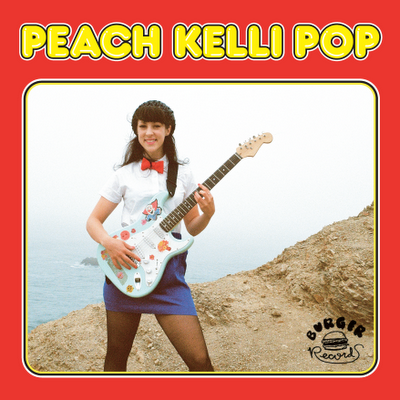 Peach Kelli Pop's debut LP (from the distant time of 2010) was one of the best slices of pure pop AND garage around, no doubt due to Peach Kelli Pop (AKA Allie Hanlon) picking up an incredible knack for hooks with her day job drumming with White Wires. Now after too long a wait, her second album will squeak out just in time for the end of the year, thanks to always awesome Burger Records. "Dreamphone" is a classic sample of Peach Kelli Pop's style, deeply simple but utterly catchy instrumentation (here just drums and guitar) over lo-fi vocals that here actually sound like they were recorded over the phone. The lovely glockenspiel that sounds through out gives the song an even stronger cuddlecore sound. "Dreamphone" might be sickly sweet, but it's that sweetness that makes it such wonderful ear candy in the first place. In 2012, Fake Flamingo Recordings had a genius idea. Every week since the beginning of the year, they would release a two song EP from a completely anonymous band, through a pay what you want format via Bandcamp. 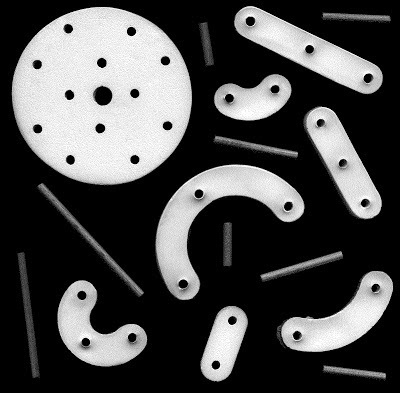 If an artist/band is able to make 1,000 dollars through the Bandcamp page, Fake Flamingo Recordings presses the songs onto a 12" and gives away 100 copies of said 12" randomly to anyone who donated money. This way music is supported purely based on its own merit, and a 12" could possibly be produced as an end result. This awesome project has been going on since January, with most of the bands producing songs that circle around a similar vein of abstract beats, murky production, hazy dream-pop, and experimentalism. While several different releases could be mentioned here (Hoverboard's contribution is very excellent, as are Creative Intersection favorites Ender Belongs to Me's songs), Desert Crown have proceeded some of the best songs in the series. "Black Water Black Sky" is a hybrid of tropical beats and dream pop haze as the airy vocals and melted guitar lines layer over the production effortlessly. "The King" is even more ethereal, with Desert Crown channeling a bit of Sigur Rós' style of atmosphere, though filling it with twinkling and shifting synth lines that build within the song, expanding it without being noticed on first listen. It's two track of sublime, creative, dusty dream-pop that easily stretches outside of genre lines and is all the better for it. The true quality of Total Control, I think, comes from their ability to change shape and sound, and not only make what ever type of shift organic, but natural as well. On one single they sounded like an abrasive, drugged out post-punk band, and on another they had crafted claustrophobic dance-punk. And now they've done it with their newest single. Stripped of any of the moody synths that colored much of previous release, the ungodly under appreciated album Henge Beat. Instead "Scene from a Marriage" opens with with a lone acoustic guitar, something that threw even me off since Total Control have always crafted their music as unnaturally as possible. However, that guitar quickly starts bending and producing discordant chords that eventually explode into a full band playing an incredibly dark and twisted post-punk tone that manages to convey everything with its knotty, Wire like guitar work and the monotonic yet piercing vocals of DX as he spews out abstract, anger-filled lyrics can you can't exactly understand, but can't escape either. Total Control have always had this dark energy to their music that has been evilly compelling, and nowhere is that more prevalent than listening to "Scene From a Marriage". Everything about Teen Mom just sort of throws you off. The band name does not send strong signals for a sense of quality, but one listen to "I Wanna Go Out" instantly disproves that. Then the lovely, Cure like intro verse of the song morphs unexpectedly (but wonderfully) into an almost shoegaze-like sound of fuzzy bliss. This constant shift plays out through out the rest of the song, with the next verse tempered by muscular guitar riff and the chorus' fuzz wave shattered momentarily by bright, shimmering guitar lines. "I Wanna Go Out" is such a brilliant, lovely gem of a song, everything within it complimenting one another so well, from the jumpy bass-line that connects the whole song to the intelligent guitar playing through it to the crisp, high pitched vocals that manage to seal together the song effortlessly. "I Wanna Go Out" is a quite stunner, but a stunner none the less. When a band is claiming to be from Atlantis in their press email, that's a pretty clear hint that their music is going to evoke some sense of beachy-goodness or aquaticness. And to a degree Soda Fabric do that with their song "Antonia", from the distorted, VHS art of paradise to the rubber bass lines and reverbed-to-hell guitar lines. Nostalgia makes its presence know as the band recounts a tale from 2009 of long drives and love. Yet, despite the clichès described, and utter terribleness that should be "Antonia", Soda Fabric manage, quite well in fact, to make it one very great, dreamy, post-punk song. Mining inspiration from early New Order, everything from the frantic drumming to the baritone vocals to the surfy, staccato, almost Modest Mouse guitar lines raises this song above the usual fray of bland, summer time nostalgia, to an urgent plea for something more. "Antonia" is utterly sublime, and even more so, ungodly catchy. ...David Dondero opened up the show. I think several people were wondering why this unknown folk singer was choose to open for Godspeed You! Black Emperor's. No one more so than Dondero himself, who was visibly nervous on stage and had to back track on more than one song due to messing up a part. Later in his set he confessed that he usually only plays to about 30 people at his show, rather than the hundreds that had gathered at The Mohawk. However, Dondero persisted through his relatively short set, churning out politically lyrical songs that came across as Conor Oberst meets Daniel Johnston, with various lines getting shouts of approval from the crowd. By the end of Dondero's set, it somehow made much more sense why GY!BE had chosen him to come along with them on tour; the anguish and hope he channeled through his songs, while utterly different than the way GY!BE does it, are still the same emotions GY!BE express in their songs as well. Do you want to know why people freak out and use almost pure hyperbole when describing Godspeed You! Black Emperor, especially live? Because truly, seeing them live is pretty much like nothing you've ever seen. It's quiet and dark as members slip on stage. They begin playing their instruments, and you can't tell if they are just tuning or actually starting. Then the violinist's notes start to build ever so slightly until you realize it is the beginning of the song, as quiet guitars are layered on, and sonic manipulation comes into play. Blurry images begin to project behind/on the band from the four actual film projectors the band has stationed above, which intensify the atmosphere even more. And the band builds more and more, ever so gradually, before you realize the band is unfolding a song right before your eyes. Keep in mind this was just for the opening song of the set, one of the quietest of night as well. The band picked up immensely from there, morphing from crafting discordant, atmospheric sound to using a hammer dulcimer to signal a switch to something much heavier. The drums started pounding, the guitar work layering to higher degrees of intensity, the film projects becoming much more disconcerting and paranoid. The band's sounds just engulfed the entire venue, a barrage of suits of quite lulls to skull splitting intensity amplified by the powerful images projected in front of you. And the band was able to hold this degree of intensity, power, and strange beauty through their hour and half long set. The only break was a near silent 10 minute piece near the end that nearly crushed what the band had been building the entire night, but the band came back, launching into another beautifully painful song/movement. By the time the band finished, I doubt their was a single person who saw them who was unsatisfied, but that did not stop some from attempting to pull an encore from the band, as lead by a insanely/wonderfully passionate fan screaming "Don't you want more?! Well then come on!" from the balcony. Then, in the first traditional act from the band, which wound up being completely unconventional because of everything just seen, the band came back and performed one last song. And it, much like everything else that night, was absolutely mind blowing. Heaven's Gate is a band that formed out of the ashes of Sweet Bulbs, a super awesome noise/shoegaze hybrid that somehow managed to shove pure, über catchiness without watering down their noisier tendencies one bit. After a long delay, Heaven's Gate are finally prepping their debut EP for Fire Talk, a 200 only(!) pressing of 7(!) swirling nuggets of noisy goodness. "Pogo", the first single of the EP, starts in a semi-similar area that Sweet Bulbs did, filled with truly buzzing guitar work at the song's core. However, an off-kilter surf/garage bent quickly appears and mends itself to the song, and singer Jess Paps' vocals, which used to only be dream-like whispers, have been ratcheted up into intense, anguish filled howls. All of these elements are ever so slightly off from one another, never fully connecting together. For any most bands, this would make the song just fall apart into a blob of mishmash sound. For Heaven's Gate though, they manage to just keep plowing forward with the song, letting "Pogo" form into this wonderfully crystal of noise rock, garage rock, and indie rock perfection. The Babies were/are a wonderful psych/folk-tinged garage band that put out some very cool singles in 2010, but a for-some-reason-less-engaging debut album in 2011 that made me stop looking their way for a little bit. Now they have returned with their second album, Our House on the Hill, and with it comes the return of why they grabbed me in the first place. "Get Lost" is a jagged, country rocker with a damaged/burned sense at its core. Over an ever present distorted riff and a off-kilter, jangly rhythm guitar, "Get Lost" weaves together a song about escapism that feels darker than most of its contemporaries. The vocals seem more distressed, the cries and howls more painful. "Get Lost" has a pull and sincerity to it that makes it stand out, and reminds me why The Babies were so great in the first place. Well this is long over due. King Tuff is awesome. Since his early lo-fi days, to his twee-grunge of Happy Birthday, to his now pristine, but just as catchy solo records, Tuffy manages to pump out some of thee catchiest garage rock around. Already putting out an awesome single on Suicide Squeeze (seriously, "Wild Desire" might be one of the best songs of the year), and an equally great, self-titled album on Sub Pop, King Tuff has returned with another single. "Screaming Skull" almost plays like an anti-Misfits song, taking possibly evil and/or grotesque imagery as its starting point, but filtering it through King Tuff to produce a garage-pop gem. "Screaming Skull" is everything that makes a Tuff song great from twangy power-pop chords and simple drums, to Tuff's falsetto-filled but memeorizing vocals. More so, the guitar solo the punctures the song midway through manages to convey what is so enjoyable about "Screaming Skull" and King Tuff in just a few seconds: simplicity without being boring, a childlike sense of energy, and above all catchy after catchy hook. 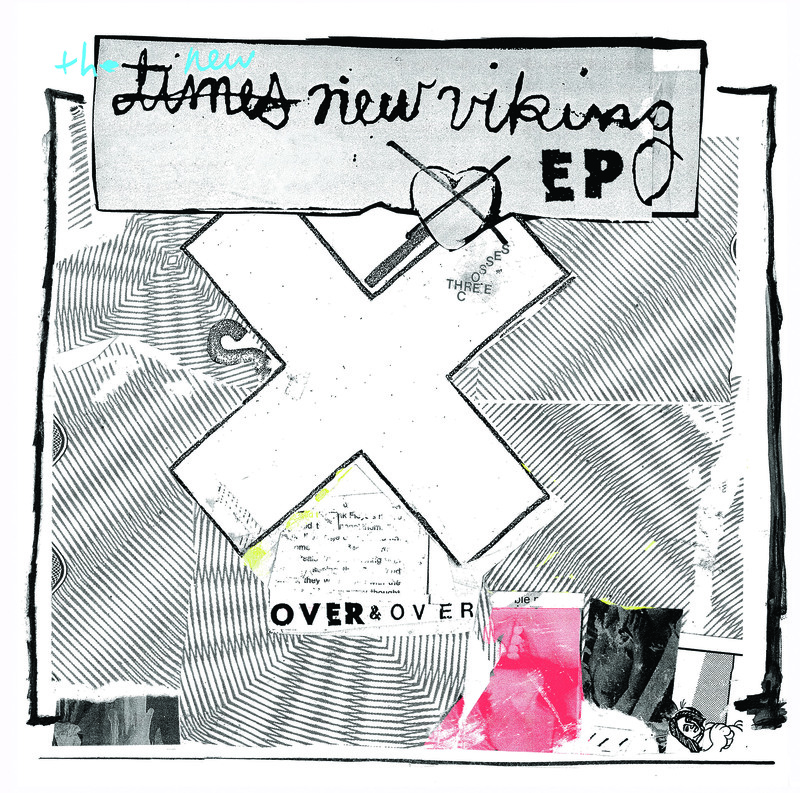 A little while ago I caught wind that Time New Viking would be coming out with a nice, long EP called Over & Over after what feels like too long a gap since their last album Dance Equired. It's coming out on their first label Slitbreeze, but those expecting a return to Time New Viking's no-fi roots are going to be disappointed. The band is diving further into their new sleeker, indie pop sound, with "Sleep-In" being one of their best tracks with the new style. Jared Phillips' and Beth Murphy's vocals mush together in a perfectly off-kilter sort of way, as the choppy guitar of Adam Elliott and Phillips' drum work keep the song from fall apart as Murphy's keyboard sprawls and swirls everywhere during the song. "Sleep-In" manages to channel all the charm of TNV's early work, but still show how their new style is just as excellent as well. THEESatisfaction are one of the few R&B informed artists that I can really enjoy, and their debut awE NaturalE from this year was not only an under appreciated gem but an album which I had gotten into sooner. So it was nice to find out that the band had decided to drop a new mini-mixtape and tribute appropriately called THEESatisfaction Loves Anita Baker. I say "mini-mixtape" because not only is the track list short (five songs), but the songs themselves feel almost like previews for upcoming songs by THEESatisfaction with all but one of them being under two minutes and having an incomplete quality to their endings as well. However, it is a testament to the band that these almost fragments are still very compelling. The vintage piano swirl of "Black Fact" or the stacked harmonies of "Pressed", all the songs have a spark to them and flow perfectly from one to the other, keeping the mix consistent. "Cabin Fever Sweat Love" is the highlight of the tape, the most fully formed song on it and most evocative of the singer that the tape pays tribute too. It jumps effortlessly between Stas' and Cat's styles, blending their dichotomy into an outstanding soul track for modern times. While THEESatisfaction Loves Anita Baker is probably no more than a stopgap until the next THEESatisfaction album, it is still a great stopgap none the less. Speaking of Born Gold, Cecil Frena will be releasing his second album Little Sleepwalker in October as well. And wow, if "Sky Bicycle" is a proper showcase of the album, the band has emerged in an entirely new shape. Gone is the chopped up, electronic intensity that colored most of Bodysongs. Instead, take their song "Decimate Everything", their most R&B influenced and laid back track, as a starting point. Layer it with bubbly production and add Baths like beats to it to get some sense of how Born Gold sounds now. It is an entirely different sound, having an almost ethereal like quality to it that is just amplified by Frena's new vocal style which lays somewhere between hyper-falsetto and auto-tune. Miraculously, Born Gold is able to pull of this 180 in sound without it feeling like a 180. "Sky Bicycle" is still just as compelling as Born Gold's previous work, with the million hooks per minute feel of his music still as present as ever, just a lot more subtle. It's the marking of an artist willing to start completely from scratch in order to expand their sound, and the results being well worth the risk here. Just in time for Halloween, Black Moth Super Rainbow are going to self-release their new album Cobra Juicy themselves, thanks largely to a Kickstarter campaign that is letting the album come out in every form from 3D vinyl to rubber mask (seriously, check out what they did). What might get lost in all this creative ruckus though is that Cobra Juicy might be BMSR's best album to date. Second single "Gangs in the Garden" is certainly one, if not their catchiest song to date. While not losing any of their weirdness or creepiness (just listen to the distorted, monster like vocals that make up half the song), the beat that kicks off the song makes up its back bone has to be one of the most dance inducing beats I've heard in a while. The electronics that click off through out the songs enhance the song rather than pulling it in a million directions, and Tobacco's vocals are the most enticing they've ever been. Like Born Gold at his most demented, this is electro-clash at its catchiest and most twisted point, intersecting to make a very evil ear worm. Single Alert: Thee Oh Sees w/ The Mallard Split 7"
Famous Class Records has been doing something every cool with their LAMC single series. They ask one established band to contribute a new song to one side of a single, then ask that band to pick another band they like to be featured on the other side. Thus creating a showcase for not only new bands, but an awesome split single in the process. The latest band to contribute to the LAMC project is the ever prolific Thee Oh Sees. "Wait Let's Go" is Thee Oh Sees in their chill, '60s mood: simple, clean acoustic guitar over Beatles' like harmonies and slinky bass lines. People forget that Thee Oh Sees are not just manic energy, but can create really catchy pop songs too, as " Wait Let's Go" proves so well. Thee Oh Sees choose fellow San Franciscans (as well as fellow Castle Face record mates) The Mallard as their flip side band. And if The Mallard stay true to their psychedelia damaged post-punk, one can expect a a quality juxtaposition between the two sides. Well, this is an awesome little surprise. Cold Cave announced a brand new single that will go along with their upcoming tour with Divine Fits. Band master mind Wesley Eisold made the three songs on the record completely by himself, probably between the line-up changes that have been occurring with Cold Cave. In turn, you can hear a real shift in sound with the title track "A Little Death to Laugh". Gone is the bombarding intensity and lyrical sprawl that made up most of Cherish the Light Years. Instead, it is a return of sorts to the Love Comes Close style of minimal arrangements, with sharp synth arrangements and stilted lyrical release making up the song's being. It is the return of Cold Cave in their detached, coldwave form, and it is still as great as well. I thought I had a proper idea of the chaos that would ensue when I entered this show. Hell, I had even seen Thee Oh Sees and Ty Segall at fests and other clubs before. However, under the darkened lights of La Zona Rosa something happened that morphed this from just a standard garage/punk show to something more. At its core it was the degree of insanity and intensity that was shared between the bands and the crowd as one played while the other went wild. More so though, the thing that made said insanity and intensity so constant through out the night was the fact that every band that touched the stage played like they were on fire. It was a manic, hot, and seemingly crazy night, but also one of the best shows I have seen all year. Unfortunately, one band has the duty to start everything off and that night it fell upon Gal Pals. A local band that I hadn't heard of until that night, they weren't bad in any sense. In fact they performed quite simple but catchy distorted pop-garage; a little Super Wild Horses with some Vivian Girls in their as well. The set though was just so minimal that it just didn't grab you, no matter how hard they tried. Still, it wasn't a half bad intro for the night, even though the cat calls and douchebagish taunts in between songs didn't help. When the Flesh Lights took the stage is when the show truly started. Shedding any of the power-pop hooks that balance out their jagged punk sound on record, the Flesh Lights played a set of hyper-gruff, solo filled, modern punk that immediately ignited a mosh pit in the crowd that would last for the rest of the night. The Flesh Lights soundtracked it perfectly, being everything a local punk band should be. They went crazy with their guitarist flailing, their bassist jumping from his own amp, and their stone-faced drummer both bashed away at her kit and kept the band steady as well. As a perfect finale, they invited a friend to play drums while the Flesh Lights own drummer grabbed the microphone. The band then launched into a stupendous cover of Suicidal Tendencies' "Institutionalized" that confirmed the Flesh Lights are one of the best bands in Austin. At some point Ty Segall will stop being good. His songs won't be as great as they are now, and he won't be able to rock out with his band like he does now. That time is nowhere close to coming. Easily the best Ty Segall show I have ever seen, it worked because, contradictory, of the constraint. This is not to say Segall and his cohorts did not go crazy. They went beyond crazy, shoving so much energy and noise into their songs that it was a miracle that the show didn't deform or start blurring together. But because Segall eventually would have to get off stage for Thee Oh Sees, the sprawl that sometimes emerges from his sets didn't occur here, leading to much more focused set instead. Like I said earlier, not to say their was any lack of energy from the band at all. They were beyond full force here, just laying waste to every song they played. It was summed up perfectly as Segall pulled off a rock star move, trying to have the crowd carry him and his mic while he played "Caesar". It seemed like he was actually pulling it off before he was quickly dropped. That didn't matter though as Segall quickly jumped back on stage and bashed through the rest of the song as members of the crowd sang the song through the discard microphone. It was rock star glory and sloppy, garage abandonment all rolled into one, and the perfect embodiment of the show (and band) itself. Jesus Christ. Let it be know that every story you have ever heard of how incredible Thee Oh Sees are live is absolutely true. After the glory that was Ty Segall and co.'s set, one would think that anyone that stepped on stage and tried to match it that would be setting themselves up for an impossible goal. Thee Oh Sees pulled it off without a slightest bit of effort on their part. As drained as the crowd was from Segall set, as soon as the band launched into "The Dream" a second wind enveloped everyone, the wonderfully spastic and weird energy from the band being absorbed by everyone as they played. While there was no shortage of stage diving with Ty Segall's set, with Thee Oh Sees it was just kicked into overdrive, with people practically diving to every song, especially when the realization hit that not only was the back area not guarded (thus allowing for prime stage access), but that security was not going to do anything to stop the stage divers either. It was that constant danger/excitement, along with the wild pit, all soundtracked to Thee Oh Sees' psychotic garage psych that made the set so incredible. Their was never one point during their show where one of your senses was not hit was some sense of craziness. But Thee Oh Sees found the good kind of crazy, and brought that sense to everyone at La Zona Rosa.